He's raised you, put up with you, and continues to love you unconditionally, even after all those times you tested him. (And probably still do). But hey, you turned out okay, right? Of course you did. You know how awesome you are, and that has a lot to do with dear old Dad. Whether or not you want to believe it! Therefore Dad deserves this delicious bacon bundle. With two packages of bacon (Hickory Smoked and Cajun) your Dad can indulge his need for bacon. For when Dad wants pork on-the-go, Big Fork Craft Pork jerky will satisfy his carnivorous cravings. 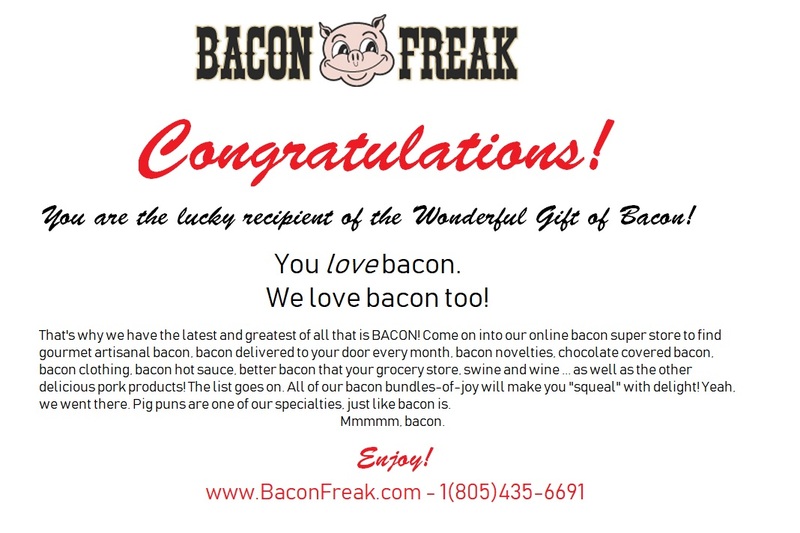 Go ahead and thank Dad by giving him what he deserves: Delicious bacon in his belly.